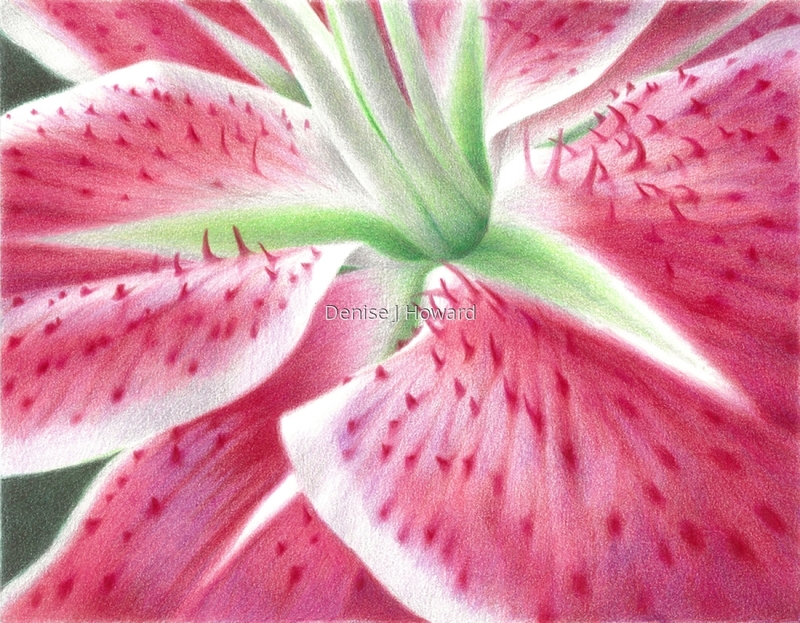 A stargazer lily is eye-catching, but the center of the blossom is the source of its dramatic impact. Colored pencil on illustration board. Exhibited in 2010 UArt Open juried exhibition, San Jose, CA. Exhibited in OA Gallery Small Works Invitational, St. Louis, MO, 2015. 5" x 6.375"9" x 11.5"